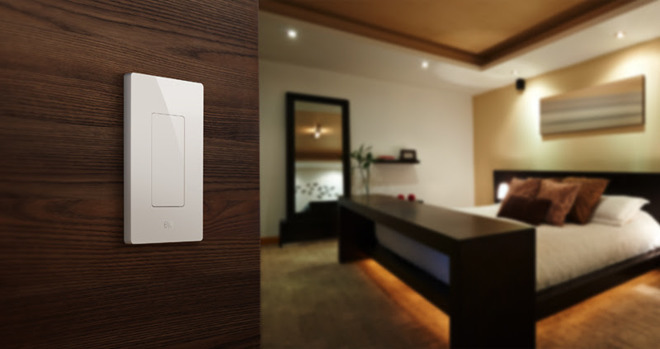 Accessory maker Elgato on Wednesday launched the Eve Light Switch, which it claimed is the world's first standalone switch with support for Apple's HomeKit. The Bluetooth-based Light Switch replaces a standard pole switch, and controls lights that way instead of through a more expensive smartbulb setup. People with Philips Hue bulbs, though, have access to additional color and brightness settings. To manage lights, people can use Siri, iOS 10's native Home app, Elgato's Eve software, or the switch itself. Because the device uses Bluetooth rather than Wi-Fi, control away from home requires an Apple TV to serve as a HomeKit hub. The Eve Light Switch is selling for $49.95 from Elgato's website and Amazon.com.